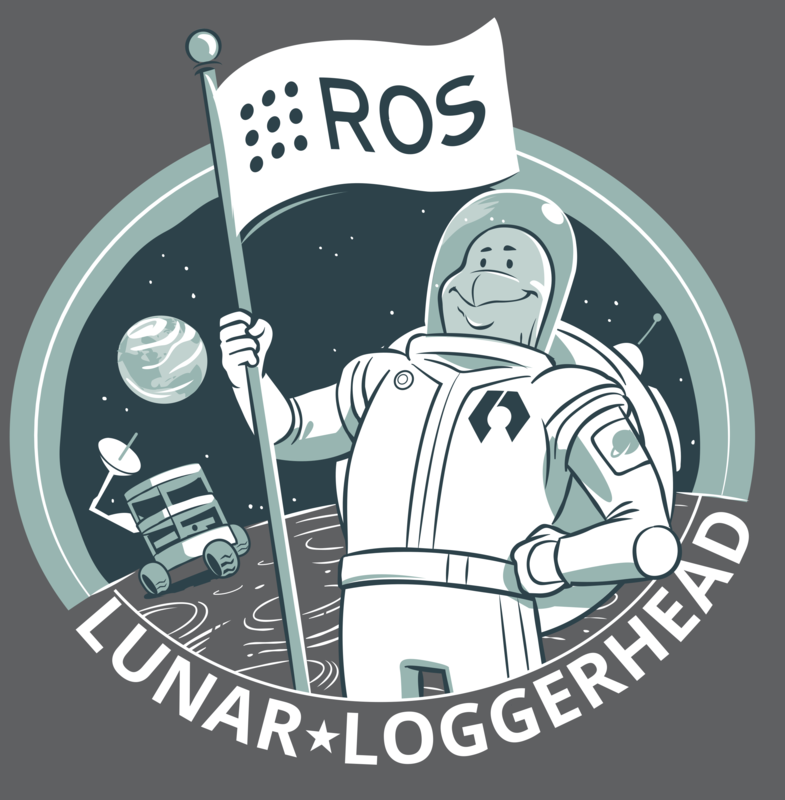 ROS Spotlight: ROS Lunar Loggerhead Tshirts Available! 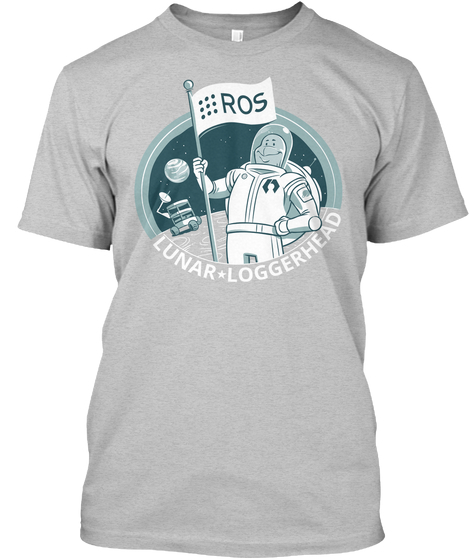 With each release of ROS we have a tradition of having a logo and making t-shirts. ROS Lunar Loggerhead is coming out in May. To let you show your ROS colors and support this tradition, we have setup a Teespring Campaign in both the US and the EU. Note that both these campaigns can ship worldwide. Ordering will be open until May 9th. Order now! This year we’re also excited to provide an opportunity to order stickers for Lunar Loggerhead. 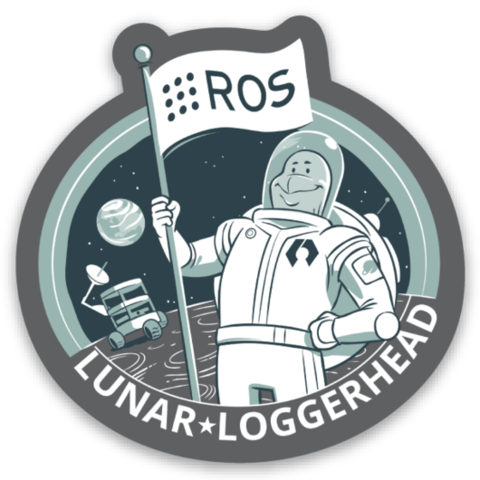 We’re also providing stickers for Lunar as well as all other active ROS distros and a generic ROS sticker as well. Note that there’s pretty good price breaks if you order in quantity. So if you have a few friends nearby it’s probably worth doing a group order. And the stickers will continue to be available. The tshirt campaign ends in 20 days so don’t delay ordering. Since this is the first public announcement, here’s the full graphic for Lunar Loggerhead. Thanks to everyone who’s been helping prepare the Lunar release. We’re looking forward to the release in May. 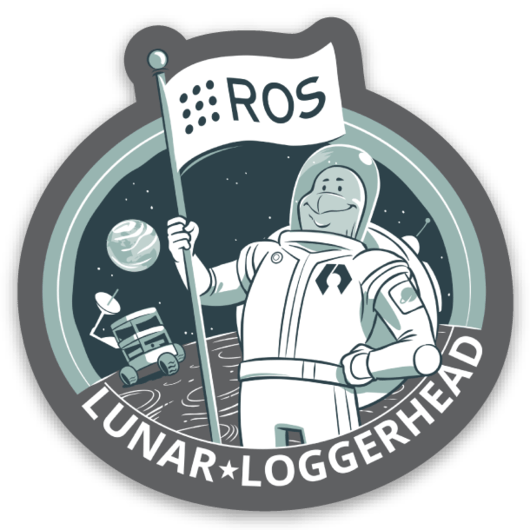 We expect the tshirts ordered in this campaign will arrive just before ROS Lunar Loggerhead is released! If you’d like us to spotlight your project here, send us a note at info AT osrfoundation DOT org.